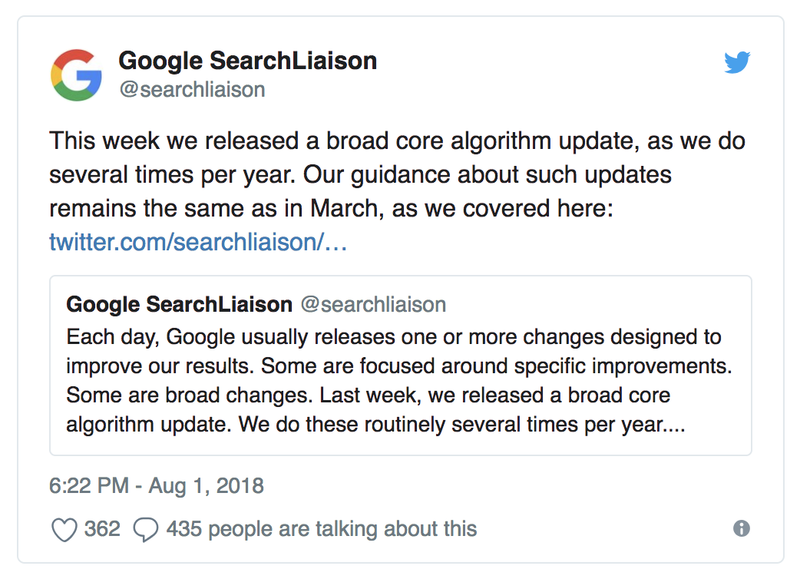 It's that time again: Google is making changes to their core algorithm. It is the third time, this year, where changes have been officially confirmed. The changes to the SERPs seem (as of today) quite manageable. Looking at the daily Visibility Index values for the UK (it looks similar in Germany and Spain), there is not really a large shift within the results. Looking across the board of all domains, we do not see more changes than usual. Something that is noticeable for this update is that a more-than-average amount of domains, that did see changes to their rankings, deal with sensitive topics. This is especially apparent with health and finance sites, but other, similar topics are also affected. Some types of pages could potentially impact the future happiness, health, financial stability, or safety of users. We call such pages “Your Money or Your Life” pages, or YMYL. After seeing massive SERP-displacements in the two previous updates in March and April, the impact of this update can only be called modest, at the moment. The majority of changes can be seen for YMYL-sites and even there we generally only see an uplift or loss of a few percentage points. Google Medic Update – What can I do when I am affected? I see heavy changes in some sites’ visibility. gala.de, autozeitung.de, auto-motor-und-sport.de, rp-online.de or stern.de are only some websites with massive drops in visibility. Anyone with a real idea about what happened? We’ve just posted more detail here.